The hillside village of Old Bennington is a popular spot for leaf-peepers. 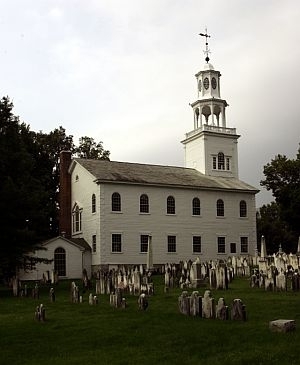 We continue our series of audio postcards from Vermont towns with a visit to the Old First Church that stands there, and the cemetery that dates back to 1761. Anthony Pollina’s independent campaign for governor got a boost from a federal court ruling on campaign finance recently. We talk with about the three-way race for governor. Also, an audio postcard from Old Bennington. Old weathered barns are such a common sight in Vermont that we take for granted they’ll always be there. But over the years, they’ve been disappearing.